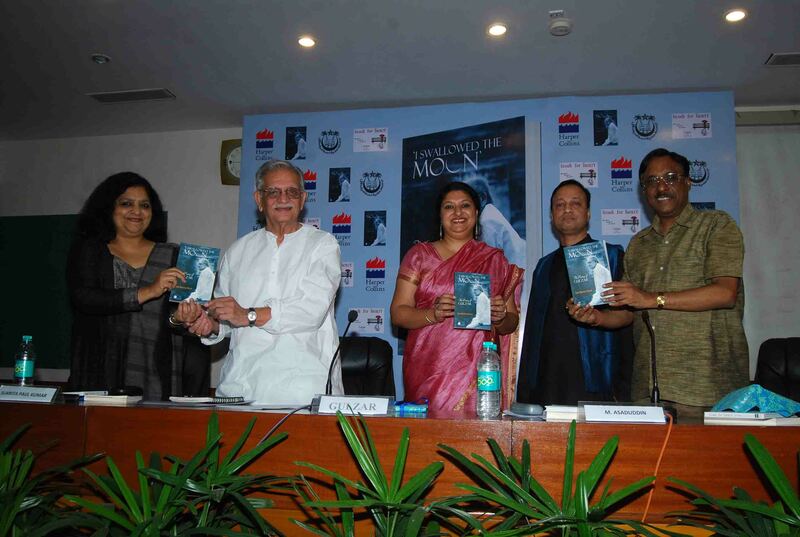 A book on Gulzar’s poetry was released in the presence of the famous poet and Hindi film lyricist himself at Jamia Millia Islamia in New Delhi on October 24, 2013. The book, I Swallowed The Moon: The Poetry of Gulzar (HarperCollins India), is written by Saba Mahmood Bashir, who teaches at Jamia Millia Islamia as a guest faculty. The book was first launched at the Bangalore Literary Festival on September 28, 2013 by Gulzar and lyricist Prasoon Joshi. It was followed by a panel discussion on October 24 at Jamia Millia Islamia on the theme, ‘The Poetry of Gulzar’ where the panel consisted of Gulzar, Pavan K Varma, Sukrita Paul Kumar, Prof Asaduddin and Saba Bashir.